Amy and her husband Joe have decided to divorce. Joe has been the primary breadwinner, providing the family with a comfortable lifestyle. Amy has been out of the workforce for over 13 years caring for their two children, one of whom has special needs. Amy was involved in a variety of school-related volunteer activities and garnered many marketable skills. However, when an impending divorce put her in a position where she needed to provide income to help support herself and her children, she was at a loss at where to start. Lacking direction, Amy found a job in a clerical position within a school district. Joe felt frustrated that Amy was not making the best use of her skills and maximizing her earning potential. Amy felt pressured into “finding any job” just to satisfy the spousal support requirements. Does this scenario sound familiar? 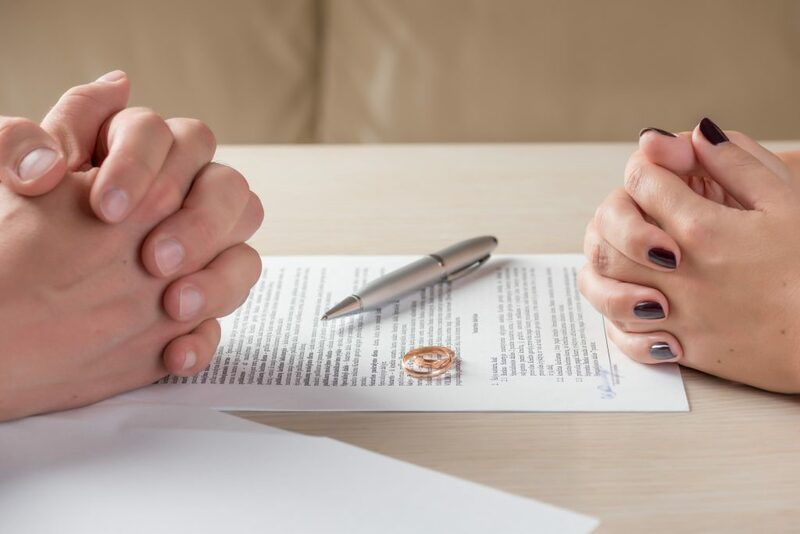 Vocational evaluations are often used in the context of marital dissolutions near the end of proceedings when the two parties cannot come to an agreement on spousal maintenance. By this point, emotions are running high and the “I’m going to stick it to him/her” attitude is in full force. With this mindset, the ability for either party to productively and effectively explore reasonable vocational options is severely restricted. We believe the use of a vocational evaluation at the beginning of the dissolution process lead to a more collaborative, supportive approach with a favorable outcome from both parties perspective. First, and probably no surprise to family law attorneys, a marital dissolution brings up much fear for both parties. What will my life look like? Will my spouse treat me fairly? How will I support myself? Will anyone really want to hire me after being out of the workforce for all these years? Second, the process of grieving this tremendous loss and impending change in lifestyle needs to be put into motion. Sometimes that will not happen until one is staring at the very real scenario that they will need to return to work. The sooner someone starts processing these grief and loss issues, the better the outcome will be for all parties, including the divorcing spouse and the children. Acceptance of a new, and perhaps, better life is the goal. Third, if the divorcing couple can get past the anger, grief and disappointment of the huge change, than a positive scenario can be scripted which includes career satisfaction and a return to self confidence. The vocational evaluation gives an uncertain, questioning person the opportunity to channel their energy toward a bright future, not a gloom and doom scenario that can leave people stuck in bitterness. When does it make sense to have a vocational evaluation? A vocational evaluation can be beneficial in situations such as when the spouse requesting support has not worked in several years; for example, a stay-at-home-mom or dad. Another scenario would when a spouse requesting support has been under-employed; such as part-time work as a waitress/waiter or clerical assistant that supplement the breadwinner’s household income. Returning to work after a lengthy hiatus is very daunting. Thoughts of “Am I good enough?”, and “How can I compete with the younger generation?” or “How do I compete with people who have been doing this forever?” can plague the job seeker. Add this to the emotional turmoil of the divorce and it is easy to see how someone can be so overwhelmed and paralyzed as to where to start. Working with a vocational expert/counselor can provide a balanced view of an individual’s work capability and realistic options based on the current economy. What are the components of a vocational evaluation? A good clinical interview will include not only the details about the individual’s educational and work history, but also that of their family members. Other important pieces of information in assisting in developing a solid vocational profile include medical or psychological conditions, familial obligations such as caring for children or elderly parents, and individual career goals. A comprehensive vocational evaluation will also include interest testing (i.e. Career Assessment Inventory or the Strong Interest Inventory), achievement testing to identify academic skills such as reading and mathematics, and skill or industry specific testing to identify the ability or aptitude an individual has for learning or performing tasks related to a specific occupation. This is, perhaps, one of the most critical aspects of a good vocational evaluation. It is easy to say, based on test results and education/work history, that an individual has the ability to get X job and make X amount of dollars. However, unless those jobs actually exist in the job market and an employer is willing to hire someone with those specific qualifications, the information has limited value. By contacting actual employers with current, recent, or potential job openings, concrete information can be gathered as to whether the specific job is a reasonable goal. In the same manner, researching educational opportunities will also provide a realistic expectation of career goals and respective earning capacities. Your client should have an opportunity to meet with the evaluator to discuss the recommendations of the evaluation. This will help clarify the vocational recommendations and can serve as a springboard for putting a vocational plan in place. This will also help the Vocational evaluator to fine tune the report and document the response of your client about the vocational recommendations. What benefits can a vocational evaluation provide at the outset of a divorce proceeding? Early identification of skills, abilities, and training needs that can then lead to a jump-start in necessary training. If it has been some time since the individual has worked, updating skills is likely going to be necessary to gain the advantage in the competitive job market. Most professions need people to be up to date on the technology of their profession. Technology skills are lost when someone takes several years away from the occupation. This can be rectified by an entry-level Microsoft Office course, or a short-term training program such as Administrative Office Specialist, Marketing and Sales, or Medical Office Support. Other times, more extended training, such as completing a two-year degree or finally finishing up a bachelor’s degree will be necessary. By identifying early on what the training needs are, the time and financial commitments of both spouses can be worked out to a mutual benefit. Working with a vocational expert/career counselor can provide a balanced view of an individual’s work capability and realistic options based on the current economy. Having a vocational expert, experienced and knowledgeable in career counseling, job seeking, and the labor market, will take the pressure of the job seeker to have to figure it out on their own. Together, the job seeker and the vocational expert can develop an actionable plan that includes on-going support throughout the job seeking process. This can include weekly meetings where interviewing skills are honed, the resume is revised and networking strategy is refined. Meeting with a career counselor on a regular basis mitigates the loneliness that is inherent in a job search and can serve as a big boost to stay motivated in the face of rejection. Accountability is a critical component to the return to work process. It’s easy not to do something when a person is engaged in a solitary activity. Likewise, if a person knows someone will be checking in on their progress they are more likely to follow through. Make a plan, share it with someone, and check in regularly – this sentinel effect will help a person avoid becoming stagnant in his or her job search endeavor. Another benefit to enlisting a career counselor is the ability to expand one’s network. The more people that know an individual is looking for work, the greater the chance that a key connection will lead to that perfect job. . Going back to our example of Amy and Joe; fortunately, Amy was able to connect with our services and underwent comprehensive vocational evaluation, which included our full battery of tests. It was discovered that she could utilize her previous education in marketing and leverage her recent volunteer experiences to begin a career in public relations or marketing. This was a much better fit for her skills and personality, and made the need to rejoin the workforce more palatable. Labor market research conducted as part of her evaluation showed her initial income would be only slightly higher than what she was making in the clerical position, but after a few years in the field, her earning potential would nearly double. In the end, the amount of spousal support diminished, but more importantly, Amy was able to take a tragic and emotional situation and use it as an opportunity to reinvent herself and grow both personally and professionally. Contact Raderstorf Associates today to learn more about how our Vocational Experts can assist you.